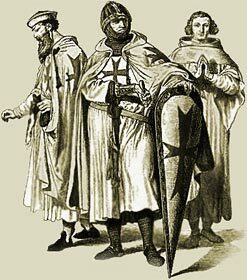 Peterkin, or Perkin Warbeck, and was the son of John Warbeck, a renegade Jew of Tournay. The lad was both handsome and crafty, and was well suited for the part which he was destined to play. No better tool could have been found for the ambitious Duchess of Burgundy; and when he was brought to her palace, she at once set herself to instruct him thoroughly with respect to the person whom he was to represent. She so often described to him the features, figures, and peculiarities of his deceased, or presumably deceased, parents, Edward IV. and his queen, and informed him so minutely of all circumstances relating to the family history, that in a short time he was able to talk as familiarly of the court of his pretended father as the real Duke of York could have done. After he had learnt his lesson thoroughly, he was despatched under the care of Lady Brampton to Portugal, there to wait till the fitting time arrived for his presentation to the English people. At length, when war between France and England was imminent, a proper opportunity seemed to present itself, and he was ordered to repair to Ireland, which still retained its old attachment to the House of York. He landed at Cork, and at once assuming the name of Richard Plantagenet, succeeded in attracting many partizans. The news of his presence in Ireland reached France; and Charles VIII., prompted by the Burgundian duchess, sent him an invitation to go to Paris. The chance of recognition by the French king was too good to be idly cast away. He went, and was received with every possible mark of honour. Magnificent lodgings were provided for his reception; a handsome pension was settled upon him; and a strong guard was appointed to secure him against the emissaries of the English king. The French courtiers readily imitated their master, and paid the respect to Perkin which was due to the real Duke of York; and he, in turn, both by his deportment and personal qualities, well supported his claims to a royal pedigree. For a time nothing was talked of but the accomplishments, the misfortunes, and the adventures of the young Plantagenet; and the curiosity and credulity of England became thoroughly aroused by the strange tidings which continued to arrive from France. Sir George Nevill, Sir John Taylor, and many English gentlemen who entertained no love for the king, repaired to the French capital to satisfy themselves as to the pretensions of this young man; and so well had Warbeck's lesson been acquired, that he succeeded in convincing them of his identity, and in inducing them to pledge themselves to aid him in his attempt to recover his inheritance. About this time, however, the breach between France and England was lessened, and when friendly relations were restored, Henry applied to have the impostor put into his hands. Charles, refusing to break faith with a youth who had come to Paris by his own solicitation, refused to give him up, and contented himself with ordering him to quit the kingdom. Warbeck thereupon in all haste repaired to the court of Margaret of Burgundy; [but she at first astutely pretended ignorance of his person and ridiculed his claims, saying that she had been deceived by Simnel, and was resolved never again to be cajoled by another impostor. Perkin, who admitted that she had reason to be suspicious, nevertheless persisted that he was her nephew, the Duke of York. The duchess, feigning a desire to convict him of imposture before the whole of her attendants, put several questions to him which she knew he could readily answer, affected astonishment at his replies, and, at last, no longer able to control her feelings, "threw herself on his neck, and embraced him as her nephew, the true image of Edward, the sole heir of the Plantagenets, and the legitimate successor to the English throne." She immediately assigned to him an equipage suited to his supposed rank, appointed a guard of thirty halberdiers to wait upon him, and gave him the title of "The White Rose of England", the symbol of the House of York. When the news reached England, in the beginning of 1493, that the Duke of York was alive in Flanders, and had been acknowledged by the Duchess of Burgundy, many people credited the story; and men of the highest rank began to turn their eyes towards the new claimant. Lord Fitzwater, Sir Simon Mountfort, and Sir Thomas Thwaites, made little secret of their inclination towards him; Sir William Stanley, King Henry's chamberlain, who had been active in raising the usurper to the throne, was ready to adopt his cause whenever he set foot on English soil, and Sir Robert Clifford and William Barley openly gave their adhesion to the pretender, and went over to Flanders to concert measures with the duchess and the sham duke. After his arrival, Clifford wrote to his friends in England, that knowing the person of Richard, duke of York, perfectly well, he had no doubt that this young man was the prince himself, and that his story was compatible with the truth. Such positive intelligence from a person of Clifford's rank greatly strengthened the popular belief, and the whole English nation was seriously discomposed and gravely disaffected towards the king. When King Henry was informed of this new plot, he set himself cautiously but steadily and resolutely to foil it. His first object was to ascertain the reality of the death of the young prince, and to confirm the opinion which had always prevailed with regard to that event. Richard had engaged five persons to murder his nephews, Sir James Tirrel, whom he made custodian of the Tower while his nefarious scheme was in course of execution, and who had seen the bodies of the princes after their assassination; Forrest, Dighton, and Slater, who perpetrated the crime; and the priest who buried the bodies. Tirrel and Dighton were still alive; but although their stories agreed, as the priest was dead, and as the bodies were supposed to have been removed by Richard's orders, and could not be found, it was impossible to prove conclusively that the young princes really had been put to death. Sir Robert Clifford having proved traitorous to Warbeck's cause, and having revealed the names of its supporters in England, the king pounced upon the leading conspirators. Almost at the same instant he arrested Fitzwater, Mountfort, and Thwaites, together with William D'Aubeney, Thomas Cressener, Robert Ratcliff, and Thomas Astwood. Lord Fitzwater was sent as a prisoner to Calais with some hopes of pardon; but being detected in an attempt to bribe his gaolers, he was beheaded. Sir Simon Mountfort, Robert Ratcliff, and William D'Aubeney were tried, condemned, and executed, and the others were pardoned. Stanley was also placed under arrest, and was subsequently tried, condemned, and beheaded. Perkin Warbeck collected a band of outlaws, criminals, and adventurers and he set sail for England. Having received intelligence that Henry was at that time in the north, he cast anchor off the coast of Kent, and despatched some of his principal adherents to invite the gentlemen of Kent to join his standard. The southern landowners, who were staunchly loyal, invited him to come on shore and place himself at their head. But the wary impostor was not to be entrapped so easily. He declined to trust himself in the hands of the well-disciplined bands which expressed so much readiness to follow him to death or victory; and the Kentish troops, despairing of success in their stratagem, fell upon such of his retainers as had already landed, and took 150 of them prisoners. These were tried, sentenced, and executed by order of the king, who was determined to show no lenity to the rebels. Perkin being an eye-witness of the capture of his people, immediately weighed anchor, and returned to Flanders. Hampered, however, by his horde of desperadoes, he could not again settle quietly down under the protecting wing of the Duchess Margaret. Work and food had to be found for his lawless followers; and in 1495 an attempt was made upon Ireland, which still retained its preference for the House of York. But the people of Ireland had learnt a salutary lesson at the battle of Stoke, and Perkin, meeting with little success, withdrew to Scotland. At this time there was a coolness between the Scottish and English courts, and King James gave him a favourable reception, being so completely deceived by his specious story, that he bestowed upon him in marriage the beautiful and virtuous Lady Catherine Gordon, the daughter of the Earl of Huntly, and his own kinswoman. Not content with this, the King of Scots, with Perkin in his company, invaded England, in the hope that the adherents of the York family would rise in favour of the pretender. In this expectation he was disappointed, and what at first seemed likely to prove a dangerous insurrection ended in a mere border raid. For a time Warbeck remained in Scotland; but when King James discovered that his continued presence at his court completely prevented all hope of a lasting peace with England, he requested him to leave the country. The Flemings meanwhile had passed a law barring his retreat into the Low Countries. Therefore, after hiding for a time in the wilds of Ireland, he resolved to try the affections of the men of Cornwall. No sooner did he land at Bodmin, than the people crowded to his banners in such numbers, that the pretender, hopeful of success, took upon himself for the first time the title of Richard IV king of England. Not to suffer the expectation of his followers to languish, he laid siege to Exeter; but the men of Exeter, having shut their gates in his face, waited with confidence for the coming of the king. Nor were they disappointed. The Lords D'Aubeney and Broke were despatched with a small body of troops to the relief of the city. The leading nobles offered their services as volunteers, and the king, at the head of a considerable army, prepared to follow his advanced guard. Perkin's followers, who numbered about 7000 men, would have stood by him; but the cowardly Fleming, despairing of success, secretly withdrew to the sanctuary of Beaulieu. The Cornish rebels accepted the king's clemency, and Lady Gordon, the wife of the pretender, fell into the hands of the royalists. To Henry's credit it must be mentioned that he did not visit the sins of the husband upon the poor deluded wife, but placed her in attendance upon the queen, and bestowed upon her a pension which she continued to enjoy throughout his reign, and even after his death. It was a difficult matter to know how to deal with the impostor himself. It would have been easy to make the privileges of the church yield to reasons of state, and to take him by violence from the sanctuary; but at the same time it was wise to respect the rights of the clergy and the prejudices of the people. Therefore agents were appointed to treat with the counterfeit prince, and succeeded in inducing him, by promises that his life would be spared, to deliver himself up to King Henry. Once a captive, he was treated with derision rather than with extreme severity, and was led in a kind of mock triumph to London. As he passed along the road, and through the streets of the city, men of all grades assembled to see the impostor, and cast ridicule upon his fallen fortunes; and the farce was ended by the publication of a confession in which Warbeck narrated his real parentage, and the chief causes of his presumption to royal honours. But although his life was spared, he was still detained in custody. After a time he escaped from prison, and fled to the Priory of Sheen, near Richmond, where he desired the prior, who was a favourite with the king, to petition for his life and a pardon. If Henry had listened to the advice of his counsellors he would have taken advantage of the opportunity to rid himself of this persistent disturber of his peace; but he was content to give orders that "the knave should be taken out and set in the stocks." Accordingly, on the 14th of June 1499, Warbeck was exposed on a scaffold, erected in the Palace Court, Westminster, as he was on the day following at the Cross on Cheapside, and at both these places he read a confession of his imposture. Notwithstanding this additional disgrace, no sooner was he again under lock and key, than his restless spirit induced him to concoct another plot for liberty and the crown. Insinuating himself into the intimacy of four servants of Sir John Digby, lieutenant of the Tower, by their means he succeeded in opening a correspondence with the Earl of Warwick, who was confined in the same prison. The unfortunate prince listened readily to his fatal proposals, and a new plan was laid. Henry was apprised of it, and was not sorry that the last of the Plantagenets had thus thrust himself into his hands. Warbeck and Warwick were brought to trial, condemned, and executed. Perkin Warbeck died very penitently on the gallows at Tyburn. "Such," says Bacon, "was the end of this little cockatrice of a king." The Earl of Warwick was beheaded on Tower Hill, on the 28th of November 1499. Interesting facts and information with a short biography about the Medieval Life, Times and history of Perkin Warbeck. Additional useful details, facts, history, biography, timeline and information about the lives of other famous people of the Dark Ages and Middle Ages, and the important events which occurred during their times, can be accessed via the Medieval Life and Times Sitemap. The content of this article on Medieval life and times provides free educational details, facts and information for reference and research for schools, colleges and homework for history courses and history coursework.